St. Ingbert, Germany - Aug 1, 2016 - With iNAT-RQT-4003 an RLG based high accurate INS/GNSS system is launched by iMAR Navigation which is not affected by ITAR regulations and which is handled under standard dual use export control only. The system is designed for navigation and guidance applications as well as for most accurate surveying applications with interface to wheel sensor. 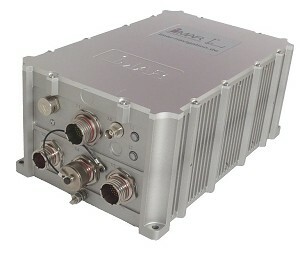 The iNAT-RQT (iNAT = iMAR Navigation & Timing) is the successor of our well-known iNAV-RQH system, which is now in the market for more than 15 years, but it comes additionally with lower power consumption, smaller size, less weight and extended interface capabilities including Ethernet (UDP, TCP/IP), UART RS422/RS232, CAN, ARINC429, ARINC825, HDLC, USB. The system supports GPS, GLONASS, Beidou, GALILEO and TerraStar, provides RTK and optionally SAASM capability and contains internally 32 GByte for online data storing. The system is qualified to MIL-STD-810G, MIL-STD-416F, MIL-STD-704F and DO-160G. Beside of many others, the system iNAT-RQT-4003 has been recently selected by Airbus Helicopters as Flight Reference System and by other Airbus Groups, e.g. for optronics alignment tasks. It is used also for navigation of combat vehicles (iPRENA, iCOMBANA) as well as for support & logistics vehicles (iSULONA). iMAR Navigation GmbH is a leading German manufacturer of inertial measuring systems for navigation, stabilization, surveying, guidance and control, being designed for defence, marine, surveying, automotive, autonomous driving and industrial applications (www.imar-navigation.de). iMAR Navigation GmbH, based in St. Ingbert, Germany, has extensive experience in design, development, production and maintenance of inertial measuring and navigation systems destined to a wide range of standard and special applications in various fields like defence, surveying, stabilization, guidance and control. iMAR is certified to ISO9001 and EN9100. With its EASA Part21 G certification iMAR is also enabled to manufacture components and systems for aviation.